Every human being has some purpose to live. For some, it is their children, while for some it may be to acquire wisdom. One may live to earn money and another would live to acquire a name, fame and power. Everyone has some or the other purpose of living. What does this leper have that inspires him to continue to live? The leper’s reply was astonishing, profound and such that each one of us should deeply contemplate on it. The leper had realized the purpose of his life. He was performing his role with utmost sincerity and dedication so that his purpose was fulfilled. The leper knew why he was living. Hence he was in constant feeling of bliss and rendering impersonal service of helping all unconditionally. He actually did a great service for people. Why I am here (on earth)? When we understand the purpose of our life, even sorrow can become the cause of happiness. Till today, we have been stuck with the dualities of joy and sorrow, honor and insult, success and failure. But we have never tried to know the third entity, which is beyond these dualities. After knowing it, we will be liberated from both, happiness and sorrow. Otherwise we will be stuck in duality all our life and will never try to understand our Mission Earth. Seva (impersonal service) actually helps the sevak (seeker) to discover and break his tendencies and reach a point of clarity, where he knows and understands the true purpose of life. Seeker: All spiritual paths lay emphasis on social volunteering and free services (seva) from members. Devotees spend hours and hours together, without any expectations. What is the purpose of this? Does it really help an individual grow spiritually? Every religion in the world has emphasized the need for purity of mind. Hence the Yam-Niyam, the Panchsheel, the Ten Commandments, etc. have been laid down. People leading impersonal lives easily manage to keep their mind clean and pure. To lead an impersonal life is to serve others with a feeling of selflessness, and to always intend the welfare of others with every action. There are both positive and negative thoughts in our mind. While we benefit from positive thoughts, we also suffer the ill effects of our negative thoughts. The common tendency of the mind is to be attracted towards negative thoughts. The mind gets tainted due to this. The goal is to make it steady and pure. Hence it is essential to employ it in impersonal service. Impersonal service can cleanse the mind. Through impersonal or selfless service, the mind can become Hanuman; Hanuman who is always immersed in service and devotion. Described in the epic Ramayana, he is considered to be the epitome of impersonal service. There is no service that is great or meagre for him. He does everything with the feeling of service. It is then that this very mind will become a ‘Super Mind’. ‘Super Mind’ is a mind which reaches that place on time wherever service is required (just like Superman). The ‘Super Mind’ is always ready for service. The mind is connected with time. Hence you have to become Superman as soon as possible; which means that you have to render impersonal service like Superman. We must therefore resolve to finish our tasks before time. Always employ the mind in impersonal service. Once the mind tastes impersonal service, it will transcend time and go beyond it. Seva imparts understanding to the mind that it needs to lead an impersonal life. After attaining this understanding, man realises that every work in the world is impersonal. * Read “The Unshaken Mind” written by Sirshree to know more about Mission Earth. The human mind is a wondrous creation. It can be resplendent with the freshness of an infant, or stagnate with the obstinacy of the old age. It can be a devoted servant, or even a wild master. It can be leveraged to earn money or can also be used to attain wisdom. It can surrender in devotion, or be lost in delusion. It can continue to vacillate between the past and future, or serve as a mirror for the Self experiencing supreme happiness. With so many possibilities, this mind can be an all powerful tool with infinite potential for the highest creation. But the mind’s potential is only realised when it is given the ultimate purpose: the purpose of human birth on earth – Mission Earth. The aims that we pursue in our lives are not the true purpose for which we were born. They are merely meant to sustain us. A shaky mind is a slave of its tendencies and cannot be trusted for the highest Self Expression. It is only a mind that is unshaken and remains unshaken, whose power can be channelized comprehensively towards the highest creation. Seeker: Sirshree, I am a business professional. The world economic recession is creating a sort of uncertainty and stress environment at my workplace, and the same is getting transferred at home. I just want to know what the real purpose of life is and is spirituality going to help me grow and blossom in life. Sirshree: Remember that life has been given to you for a purpose. Every incident in life can take you forward or backward. Self Transformation is essential to always move forward. Self Transformation is all about converting your challenges into opportunities. The best way to do that is to use the present environment and all incidents of life to break out of the frame with which you perceive the world. Spirituality gives you that UNDERSTANDING of life and the aim of spirituality is HAPPINESS. Everyone desires happiness. Happiness is our nature. But the happiness we get in this material world is temporary. The quest of spirituality is the quest for permanent happiness. The quest for true happiness. A kind of bliss that does not diminish with time. Self transformation is the transformation of the Self. Transforming the way you perceive life and derive happiness is the first step in spiritual transformation. All the examples of false happiness are categorized as lower levels of happiness. As you transform spiritually, you derive happiness from higher levels, like Happiness in Service for others, Divine happiness, and a state of Eternal bliss instead of artificial, second-hand stimulation happiness derived using some formula. Each one of us bears the eternal unremitting bliss within. For self transformation and getting access to this eternal bliss state, you have to learn to open up and blossom. Those who are open to growth neither withdraw nor remain stuck by this so-called recession environment or adverse conditions in life. The secret of blossoming is simple. All it says is that the reason of every event in your life is to provide you with an opportunity to open up and blossom. Every incident occurs to test you and see if you blossom or not. Look at children. They never withdraw; they simply live naturally and operate out of their ‘being’. They operate from ‘nothingness’ and are open. They intuitively know this secret of life. Understand this secret of blossoming and opening up so that you experience bliss every moment. As you progress towards higher levels of happiness, your question will change. Every moment, every day, several incidents are taking place around you. You either experience a good or bad feeling in those incidents or after those incidents. Each one of us has a desire to have good feelings within us. The question now arises as to how do we feel good about each day, each incident? We have within us a centre, a core. You can call that centre the source of thoughts and feelings… from where they emanate. The most interesting part is that the centre is always fixed, it never moves. It is akin to the hands of the clock that move with a stationary spindle at the centre. For a fan to move round and round, a stationary central rod is needed. Similarly, there is something within us, which is stationary and fixed. Being established there is the whole purpose of life… for which a human body has been bestowed to you. Once you have access to that centre, you will learn that there alone lies eternal bliss. That centre can also be called ‘Self‘. Being established there permanently is what is also called as Self-Stabilization, which is different from Self-Realization, a one time glimpse. Seeker: Can I attain self transformation? Sirshree: Self transformation is the transformation of the Self. It does not mean transformation of an individual all alone by himself. Only someone at a higher state can show you the path. Only someone who has walked the steps can guide you. And the journey is such that though there are steps and states, there is not really ‘somewhere’ to go. It is a journey that begins at the destination and ends at the destination itself. Hence the importance of a guide on this journey cannot be overemphasized. Self transformation is a journey in which a Guru, a guide is very much required… not any guide… but a guide who has walked the path and is very much alive giving you feedback and guiding your transformation process. That you may find such a Guru is my good wish for you. Is there anything beyond self-realization? Every year we set resolutions for ourselves, our family and our organisation. The aim that we usually set up for ourselves is not our real aim. It is merely for survival and subsistence of life. The aim behind this aim is the real goal, Mission Earth, the universal impersonal aim of life. We should train our mind in such a way that it always treads the path of love, devotion, service, dedication and surrender. Such mind will lead us to our goal of Mission Earth. Attaining Mission Earth is the whole and soul purpose of human life, the reason why we have come to earth. To reach this goal, we should befriend the mind because the mind is not our enemy. With this understanding, it becomes easier to win over the mind. We cannot win the mind by defeating the mind; in fact, we can win only by making the mind a winner, with a win-win proposition. How would that happen? For that you have to understand the nature and the work of the mind. You have to take the journey of mind, to understand the types of mind, and how to interpret our mind. Which type of mind do we need to win? How to communicate with our mind? What effective steps we need to take, so that we are liberated? What are the rules to be followed in this mind game? How to train the mind to attain all that we wish for? At every step, you have to contemplate and assess: Where have you reached in this journey? Has your mind become humble, peaceful, pure and unshakeable? Wherever you are in this journey, this blog will guide you to success. Read it carefully and accomplish Mission Earth. Congratulations for your ensuing success! Seeker: What is the mind? How to keep the mind under control? Is the mind also a part of the body (senses)? Sirshree: The mind is described in many different ways. The mind is just a bundle of thoughts. Thoughts alone are the mind. Various names are given and classifications made of the mind just to facilitate understanding. Like you have heard about the conscious mind. Another is the subconscious mind. Third is the unconscious mind. Fourth is the super-conscious mind. If all these minds were broadly divided into two categories, it would be: the outer mind and the inner mind. In order to understand these two minds, various names have been used till date. What do you want to create from the power, devotion, knowledge and service of the mind? The mind has also been termed as one of the ‘senses’ but this ‘sense’ is beyond the other five senses of sight, sound, smell, taste and touch. The work of mind is to keep these senses in control and to get work done from them. Different people have said many things about this mind. Some have called it a part of ethereal space, some say it is part of Consciousness. Mind is also like a bomb that we always carry with us. It can explode any time due to negative thoughts, i.e. the person can go insane. Mind is also likened to a ‘spring’. If a spring is pressed and released, no one can predict how and where it would jump. In the same manner, the fluctuating state of mind cannot be predicted. Since times immemorial, man has been controlling his mind through suppression. But through suppression, the mind retreats into the desert of depression and lifelessness. While the mind wanders in damaging extremes of pleasure and pain, we relinquish all control over it, leading to detrimental consequences. The powers of the mind are so great that it can lead to the ability to perform various miracles or it can reveal the Supreme Truth. The materialistic devotion of mind will lead to material benefits, while with Divine Devotion of the mind even the Creator can be attained. The knowledge of the mind can bring in money or it can bring in wisdom. What do you want to create from the power, devotion, knowledge and service of the mind? Do you want to attain the supreme goal of your life? The supreme goal of every human being is Maha-Nirvan Nirmaan (MNN)because the highest work of the mind is MNN (the highest creation of the Self, God, Creator…). It is for getting training to create MNN that we have come to earth. Hence it is also called as Mission Earth. If the mind is blissful, if it is in Bright happiness, then all powers become automatically available to it. Attaining your aim of life too becomes easy and simple. A pure and happy mind sees goodness in everything. Mind is not our enemy; it is just a tool. People who misuse their mind make it their enemy. Man should use the mind for contemplation and through it attain the whole and sole aim of human life in this very lifetime and experience the supreme happiness of liberation. We sometimes get a hunch that a particular person will meet me today. Our mind tells us that he is too far away to meet. Our intuition proves right and he does meet or call us. You might have noticed that sometimes you choose one out of many options based not on factual data but on our inner gut feeling and that choice proves right. This is intuition power. We all have it. Sometimes we get an inkling that a particular thing will happen although our mind rules out any such possibility, but this intuition proves to be right. Such things do happen in everyone’s life one time or the other. Intuition means tuition from within. Our Intuition is perpetually guiding us. It keeps telling us – What is harmful for us, what is not… Who is a friend, who is not… Where is danger and where it is not… and so on. Most of us do not cultivate this power properly. If we do so and also develop faith in it, it has the ability to give us correct guidance at every step. This tuition never goes wrong. Learn to listen and trust this soft voice from within. It is important is to have faith on your intuition. Man is so engrossed with his external (outer world) activities that he has lost touch with his intuition (inner world). This is a wake up call. We must remind ourselves of this already existing wonderful power within us. We have to know it by experience – through listening and observation. If we do that, we realize that the source of power is within us. Our every step can be guided from within. We have to develop faith that timely guidance comes from within when needed. Once we get tuned to our inner guidance, we will not have any fear. If at all a danger approaches us, our intuition will forewarn us so that we can prepare ourselves to face it. Once in awhile, do ask yourself ‘What is my aim in Life?‘ Your intuition will give you the answer. There are very few who are working towards their aim in life with full understanding and awareness. In today’s fast paced life, one tends to live mechanically. One must therefore repeatedly ask oneself the above question. The answer will definitely come and this answer is of ultimate importance. The power of presence: Allow the power of “formless presence” to manifest. People are more interested in the presence of power than in the power of presence. The ego is the biggest hindrance in allowing the power of presence to manifest. To invoke this power, learn practices that help to calm the mind so that the power of presence can shine. The power of present: Allow the power of the “past-less present” and “future-less present” to manifest. You can always be in the present by loving your present. Instead, man is busy loving his future. “Only if this happens in the future shall I be happy.” Focus on the future or on the past is the biggest hindrance in allowing the power of present to manifest. To invoke this power, learn meditation, which instantly brings you to the present. The power of love: Allow the power of unconditional love to manifest. Begin by loving yourself so that you can love others. Give love to others. The more you give love, the more you get love. Man is, instead, focused on receiving love. Such miserliness of focusing on receiving and not on giving is the biggest hindrance in allowing the power of love to manifest. To invoke this power, practise both giving and forgiving. 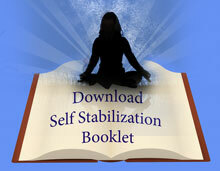 The power of stabilisation: Allow the power of “self-stabilisation” to manifest. Self-realisation is a one-time experience. Self-stabilisation is permanent awakening. A surrendered, tolerant and disciplined mind is essential for stabilisation. The mind’s tendency to stray is the biggest hindrance in allowing the power of stabilisation to manifest. Become aware of how your mind strays and slips into escapism, be it in emotions, eating, or indulging in vices. To invoke this power, avoid escapism and make the mind tolerant and disciplined in small acts throughout the day. The power of agreement: Allow the power of “complaint-free agreement” to manifest. Whenever you complain about the world, you are not in agreement. Understand that what happens in the world outside you is a mirror of what is inside you. The habit of the mind to stamp an incident as good or bad and jump to conclusions is the biggest hindrance in allowing the power of agreement to manifest. To invoke this power, completely accept things as they are, letting go of all resistance; you may then take action that is required.